Written by Thomas Paine, this series of sixteen pamphlets were written between 1776 and 1783. They are known as The American Crisis - or The Crisis. 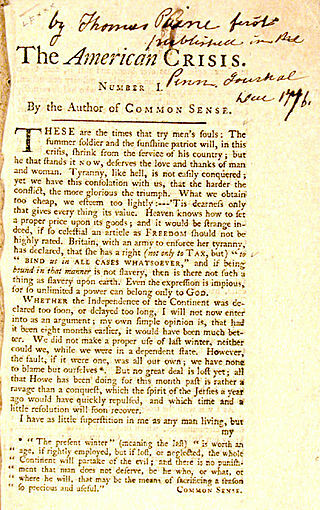 The first of these pamphlets was published in the Pennsylvania Journal and signed by Paine with the pen name "Common Sense." This pamphlet was read to the troops on December 23, 1776.